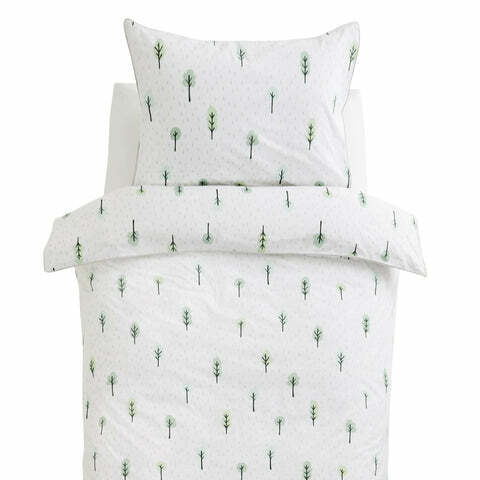 Woodland Duvet Cover Set - Single | Great Little Trading Co.
Who needs sheep to count when you have this forest of pretty trees? One of our favourite designs, the Woodland range is a beautiful mix of gentle greens and greys; it's perfect for a peaceful bedtime. 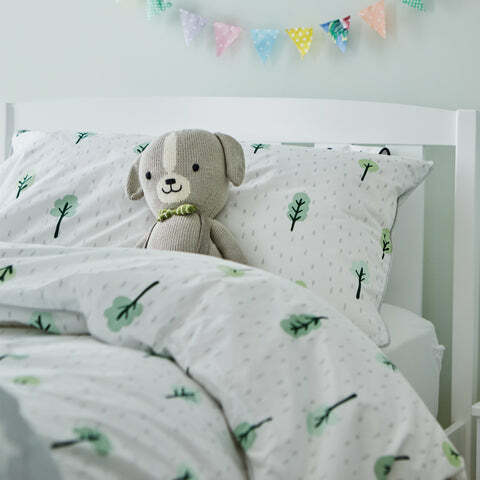 we make all our duvet cover sets from 100% pure cotton; this helps keep your children cool and comfortable during the night and makes the bedding last longer too. Features button closures. For a coordinated look you might like the matching Woodland Rug and Woodland Blackout Curtains. 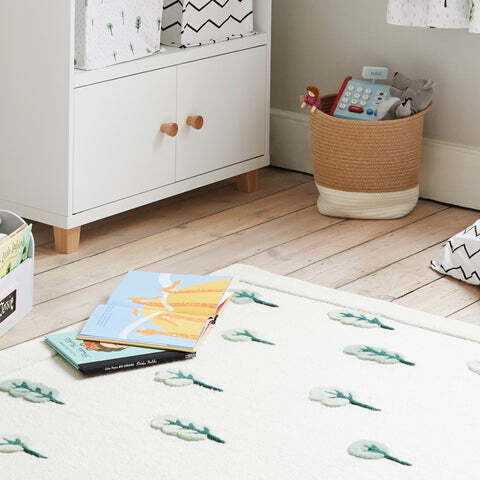 We also love adding white furniture or acccessories with a touch of wood: try our Loxley Toy Storage and our This Way That Way Wall Shelves. Delivery: up to 3 working days, £5.75; more delivery options at checkout. More details of delivery times and charges. Not happy? We have a free returns policy.